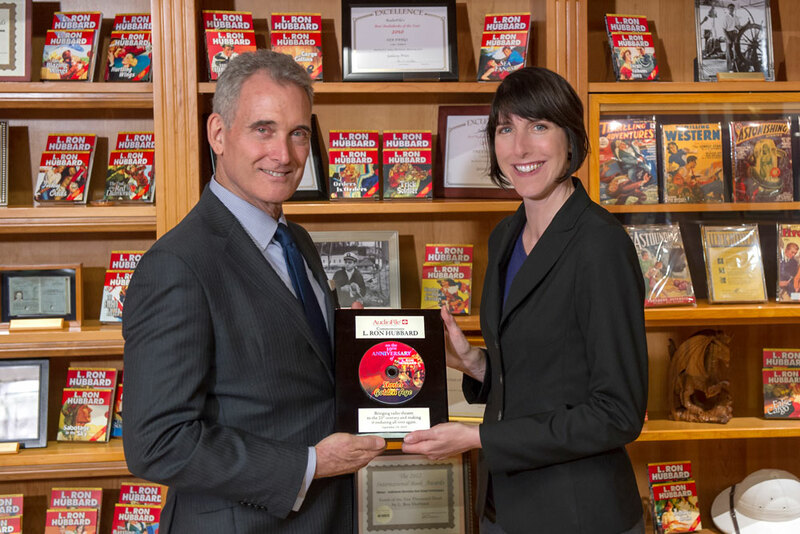 Michele Cobb, Publisher of AudioFile Magazine, recognized Galaxy Press and its 10th anniversary of the Stories from the Golden Age (2008–2018) this past weekend. 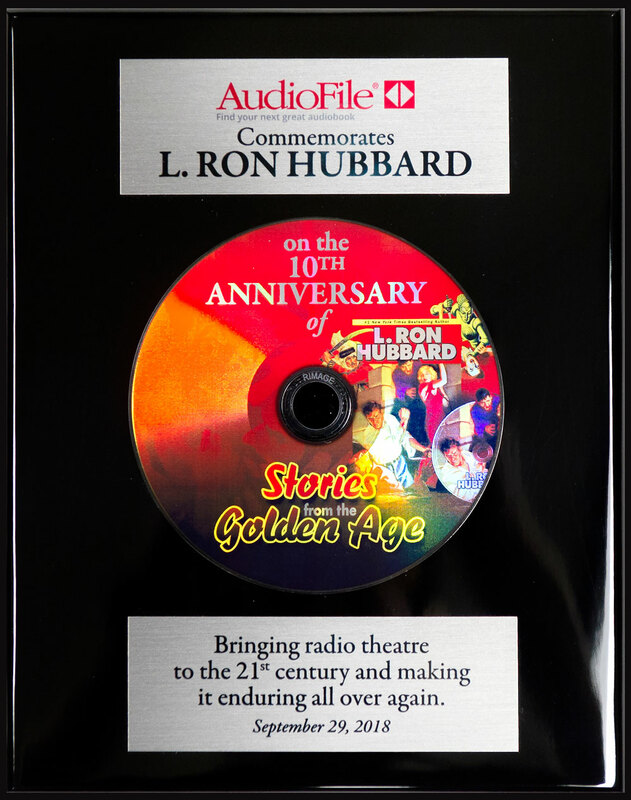 The presentation of a plaque commemorating Mr. Hubbard on the anniversary was made in front of a display of the award-winning audiobooks in the L. Ron Hubbard Library at the Galaxy Press offices in Hollywood. In making the presentation Cobb stated, “AudioFile is pleased to recognize the hard work and accomplishment of Galaxy Press in putting together this impressive collection of full cast audio recordings that showcase performance and production value at their best.” The Stories from the Golden Age unabridged audiobooks had been awarded Audiobook of the Year by AudioFile Magazine consecutively for 6 years running, 2009–2014. The Stories from the Golden Age contain 153 stories written by L. Ron Hubbard published in 80 volumes, in a wide spectrum of genres, including adventure, western, mystery, detective, fantasy, science fiction, and even some romance, using his own and 15 pen names. For more information about the Stories from the Golden Age, go to https://galaxypress.com/goldenagestories.